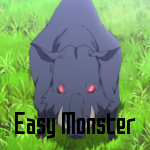 Yukitsu found that with everything was going the way that it was, with him being a bit stronger, he was certainly much more fit to go out and wander through the floor and slay some of the monsters that could be found there. In fact, he found himself coming back very close to where he first started this pursuit, a level earlier, being helped out of sticky situation one after another by Tyson, as they both pursued more and more exp. It was after all, only a matter of time, until they would be hopefully pushing their limits to the max, and be able to take down the floor boss, at the top of his maze. He knew though, that it was going to take quite a few strong individuals, and so they needed to be ready, and they needed to put their everything into it. He could only wonder, what he could come across out here, he could only hope, that he doesn't end up actually running into the worse of things, but he could very well hold his own against a wolf, and could very easily slaughter the floor with a boar. Time could only tell, what will come of this venture, but hopefully, everything would just turn out alright. In fact, there seemed to be something on the approach on him at this very moment, he could only wonder what it was at this point. He would also go on to draw out his rapier, not wanting to let anything get the jump on him instead of the other way around. Yukitsu was glad that he was finally getting his chance at a battle. It would appear that his first opponent would be a wolf. He was glad that he was going to be able to confront one, so soon, given that he had been use to typically, confronting boars. He would begin running towards the wolf, as the wolf ran towards him, both of them barring their weapons, whether they be natural or not. Although with his speed and skill with rapier, it would almost be a question as to why wouldn't it be natural to him as well. The both of them clashed, dealing damage to one another, they moved at very similar speeds, but Yukitsu held the edge, it also appeared that the wolf was in a quite more dire situation than him, from that first blow. Yukitsu was not bothered by the fact that he had suffered damage at the claws and fangs of the dire wolf, for now, it was a worthy opponent to him. But, when it came to speed, he was still the king, that was why this wolf wouldn't cause him pain again, as he ran his rapier through for a final strike of sorts. At this point though, the damage had been done, Etsuo could only wonder, what would be coming next as he dispatched the wolf. He could pretty much sense something more from this encounter. Yukitsu would hope that it wasn't something that he couldn't handle, at this point, he was also finding that his sword skill wasn't nearly as useful as it was suppose to be. The Rapier man, wasn't exactly disappointed in the sight of the boar that appeared to be charging him. 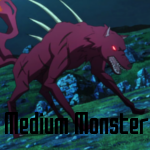 In actuality, this was the true testament to his growth, he use to not be able to deal with these without taking some sort of blow, or using his sword skill to defeat it swiftly. That would be different this time, he knew that statement needed to be true, if he wanted to proceed forward in this game at all. The being's would eventually clash, Yukitsu having the upper hand in speed was the first and only combatant to strike, the boar was truly slain with that single strike. That was what he wanted to see and so he was satisfied with just that, as he put his rapier to his side, and checked his surroundings, took it all in, and split, before bigger fish showed up.